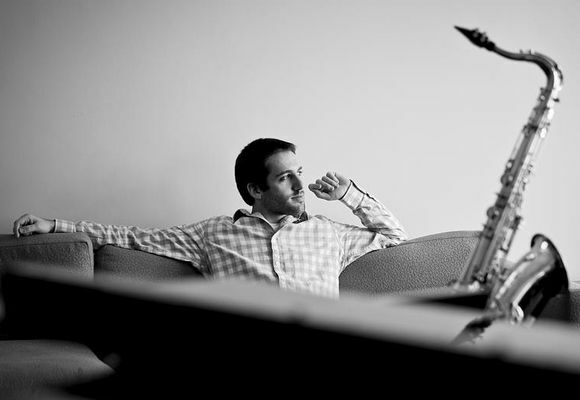 "Andrew Forman/Dean Tsur Quartet - "Afterhours"
Dean Tsur is an award-winning Israeli saxophonist, bandleader, and arranger, based in New York City. He has won the North American Saxophone Alliance Jazz Competition, and was semifinalist in the Thelonious Monk International Jazz Competition. Dean has earned his Master’s and Bachelor’s degrees in Jazz Saxophone from the prestigious Juilliard School, which granted Dean multiple scholarships. Dean performs regularly at New York’s leading jazz venues such as Dizzy’s Club, Blue Note, and Smalls. Highlighted past performances include jazz festivals such as Caramoor Jazz Festival (NY), James Moody Jazz Festival (NJ), Tel Aviv Jazz Festival, Jerusalem Jazz Festival and Red Sea Jazz Festival (Israel). In 2016, the Dean Tsur Quartet performed in Ukrain, in a show that was sponsored by the Israeli Embassy, celebrating 25 years of relations between Israel and Ukraine. Dean has performed multiple times with renowned musicians such as Roy Hargrove, Frank Lacy, Jerry Dodgion, and Ben Wolf. He also performed with Wynton Marsalis and The Young Stars of Jazz for a private event at Jazz at Lincoln Center. Additionally, he has performed with groups such as legendary drummer Billy Kaye’s Quartet and Saul Rubin’s Zebtet, to name a few.